The following are news and notes (containing SPOILERS) from yesterday's WWE Smackdown TV taping in Laredo, Tex. for next week's Smackdown. The episode will air on Friday, August 6. 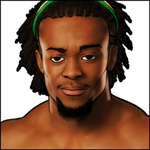 -- Dolph Ziggler is the new Intercontinental champion after capturing the IC Title from Kofi Kingston. According to reports, Vickie Guerrero interfered to aid the title switch. -- WWE announced Big Show vs. Straight Edge Society for Summerslam. -- The Smackdown TV main event will be Rey Mysterio vs. Drew McIntyre. -- Rey Mysterio will dramatically claim World Hvt. champion Kane put The Undertaker in a "vegetative state" to close the show. This follows the July 30 episode (airing tomorrow) where Kane will claim Mysterio put Taker in a "vegetative state." It's part of the storyline build-up to Kane vs. Mysterio for the World Title at Summerslam. Link: SPOILER report available on PWInsider.com.